“You took our 400 files, show us Sahara-Birla and Rafale files and we can send you to jail with just these two files,” he challenged Modi. 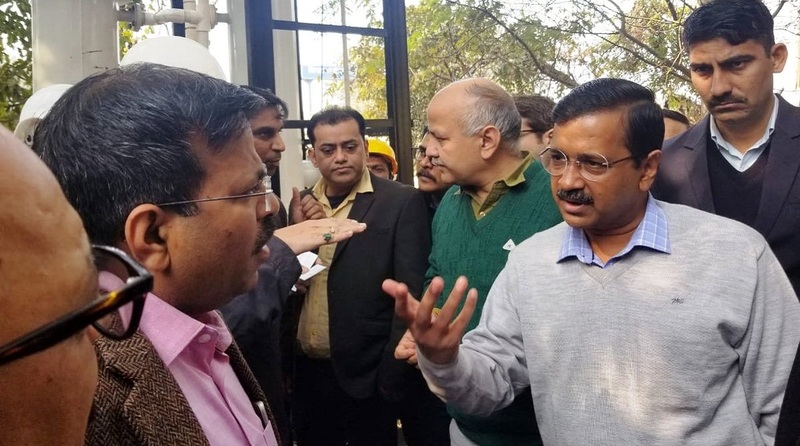 Accusing the Central government of scanning over 400 files related to the Delhi government, Chief Minister Arvind Kejriwal on Saturday dared Prime Minister Narendra Modi to show four files of the Centre, including those of Sahara-Birla and Rafale. Addressing the National Council Meeting of the Aam Aadmi Party (AAP), Kejriwal also said through repeated examinations and scanning, Modi gave the AAP government in Delhi a certificate of honesty. “The Centre took and examined our 400 files to find irregularities, but could not find any. Modi himself gave us a certificate of honesty. I always say if PM Modi shows us four of his files, he will end up landing in jail,” Kejriwal said. He said that the BJP in the past four years has not left any stone unturned to ensure that the AAP government could not perform. He said that the Central government posted the worst officers in the education and health departments, soon after the two departments started doing good work. “But Manish (Sisodia) and Satyendar (Jain) ensured that these officers worked. Only we know how we handled the dictatorship of the Centre. They also used all possible agencies against us including the police and CBI to humiliate us,” Kejriwal said, adding that the Centre also used the Income Tax department and the ED against them. Kejriwal, in his speech, mentioned Anna Hazare and said he is following Anna’s lessons. The party head also said that the Congress too is against the AAP. “It is not the BJP which is against us, but also the Congress. Whenever there were raids on us, the Congress workers were the first ones to celebrate,” he said. Kejriwal added that the work done by the party and the government in Delhi was no less than a miracle. He said that the party workers should be proud of the party and its work. He accused the two parties — BJP and Congress — of not doing any work in 70 years. Kejriwal said that the nation can become number one in the world if a good party comes to power at the Centre. He said the formation of the party was not an end to the revolution. “Our fight will continue and we should be ready to dedicate ourselves to the nation and the cause. The challenge before us is big,” he added.